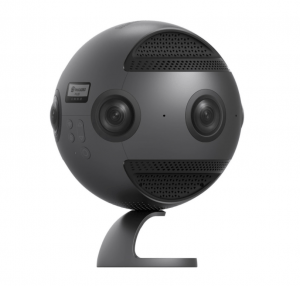 Facebook today launched its new Live 360 Ready program, a curated selection of 360 cameras that offer reliability, ease-of-use and smooth integration with the social network’s live 360 broadcast features. Three of the 10 cameras recognized are Insta360 products. The Insta360 Air and Insta360 Nano, plug-and-play devices that instantly turn phones into 360 live-streaming cameras, were both selected for inclusion by Facebook, as was Insta360’s all-in-one solution for VR filmmakers, the Insta360 Pro. 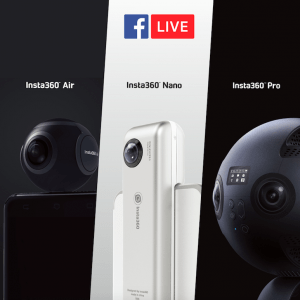 Insta360’s three Live 360 Ready cameras will now sport a Live 360 logo on their packaging and online product pages to let users know that they’re in for a smooth experience on Facebook. 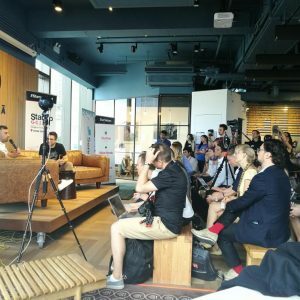 Insta360 will also be partnering with Facebook to provide a range of cameras at upcoming events and workshops designed to teach creators to get the most out of Live 360. The two-billion-user-and-counting social network also announced a round of new features and improvements to its live-streaming experience that will make broadcasting on Facebook more fun, more practical and more engaging. Updates include support for 4K live-streaming (great news for Insta360 Pro users), the ability to watch 4K broadcasts in a VR headset, the addition of a donate button to broadcasts, and also the ability to schedule broadcasts and notify your followers automatically when the event is approaching. All of these features mean that Insta360 users can now share higher quality content and make a bigger impact doing it. Facebook is celebrating the new program with a ‘Weekend of Live 360’. 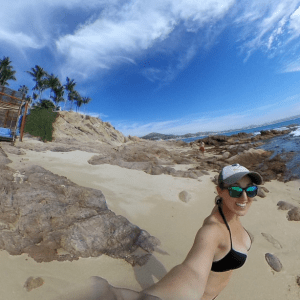 In collaboration with Blend Media, the global network for 360 content and creators, Facebook will be sharing live 360 moments from around the world from July 28 to July 30. Follow the Facebook Live 360 Page to join in on the fun, which is sure to include some great moments captured on Insta360 cameras. For the basics of how to go live in 360 on Facebook, check out our guide.